A group of supporters of Everton Football Club have established a new Supporters’ Trust to both represent and be run by as many Evertonians who want to get involved. By coming together and creating the Supporters’ Trust we aim to enhance the relationship between supporters and Everton Football Club. Ultimately we aim to represent the views of as many Everton supporters as possible in the same transparent, democratic and co-operative model as that seen at a number of Supporters’ Trusts of other clubs. To celebrate this, the Everton Supporters’ Trust will officially launch on Saturday the 5th of September, starting at 11.30am prompt and running until 1.30pm. The venue for this event will be Jack Jones House, 2 Churchill Way, Liverpool, L3 8EF. Doors will open at 10.30am. 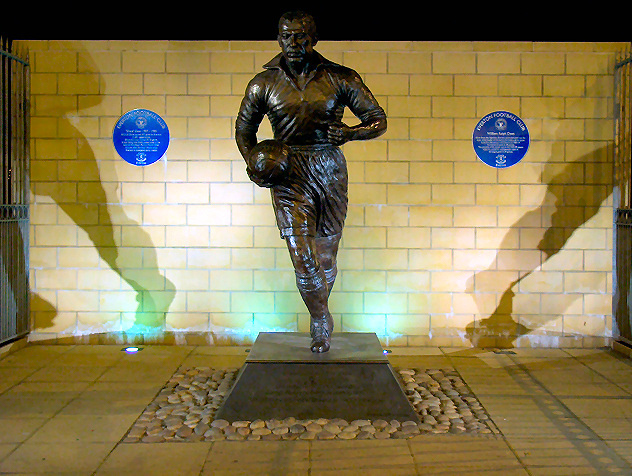 Supporters’ Trusts have been vehicles for positive change in British football since the creation of Northampton Town Supporters’ Trust in 1992. Supporters’ Trusts have saved football clubs from the brink, challenged boards who have led clubs astray and moulded club and league policy through open and transparent dialogue. In the increasingly corporate atmosphere of the Premier League, supporters’ trusts will play an important role to ensure that supporters, whether they be match going or not, will have a voice not only at the table of board rooms around the country but at the table of the Football Association’s Executive Committee as well. Manchester United’s supporters’ trust has over 200,000 members; Liverpool’s trust has over 80,000 members. Supporters’ Trusts work together on many worthwhile projects and do not usually compete against each other. However, each one needs to have as many members as possible to effect working relationships with their prospective clubs. So if you are a passionate Evertonian and would like your voice to be heard then come and join in and help us build a Trust that will become truly extraordinary. Bill won’t like fans having a voice.